Having bad credit comes at a high cost. Not being able to qualify for a loan could cost you your dream home, and being given high interest rates could cost you thousands of dollars. Let’s put it in perspective. If you have a 30-year mortgage with a principal amount of $300,000, you will not be able to get an interest rate any lower than 6% if you have bad credit. So, by the end of 30 years of making payments, you will end up paying about $275,282 in interest, on top of the $300,000 principal amount that you will have to pay. Yes, you read that right – the interest that you will have to pay will nearly mirror the cost of the house. In contrast, if you have good credit, you may receive an interest rate of about 4%, in which case you will end up paying about $197,025 in interest by the end of the 30 years. Having a 850 FICO score compared to a 620 FICO score could mean the difference of hundreds of thousands of dollars. When comparing the money you will lose by having bad credit to the low monthly fee that you will pay to have your credit repaired, you will find that there is no question that fixing your credit score is worth every penny! 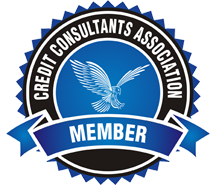 We are beyond one-time credit repair; we are dedicated to helping you develop a healthier relationship with your credit. Our focus is on you, your story, and your determination to make a change. We want to empower you to make a significant, long-lasting lifestyle change that can give you access to your financial dreams. Lifetime score improvement is more than just removing negative items on your report – we’ll repair your credit history, and we’ll do it better than the rest – but we’re focused on the story behind that credit score and helping rewrite it to reflect who you are today. Approximately 79% of all credit reports contain errors and aren’t verifiable. If they can’t prove it, they must remove it! Their inability to document and support their reporting results in deletions that will raise your credit score! Don’t let your bad credit cause you to lose out on have what you want, begin the credit restoration process today! Contact us to get a FREE Consultation and a representative will contact you about your options. If you decide to move forward we will discuss pricing and the best payment option for your particular situation. We believe that we can make a difference in your life. We understand that a credit score is not just a number; it’s a lifestyle. Call us today to see how we can help you!